Calendar of community events including civic occasions and Town Council meetings. See main Community page to submit an event. ITEMS IN BOLD ARE LINKED TO FURTHER INFORMATION - Wisbech Town Council is not responsible for the contents or reliability of linked websites and does not necessarily endorse any views expressed within them. We also cannot guarantee that these links will work all of the time and we have no control over the availability or accessibility of the linked pages. It is your responsibility to check the terms and conditions of any other websites you may visit. 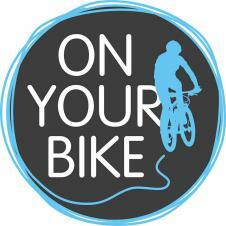 Bike Maintenance Workshops for the whole family! 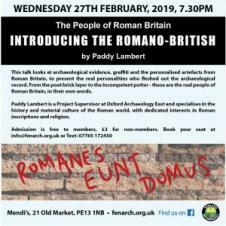 The Speaker is Paddy Lambert from Oxford Archaeology East and he is an expert on the culture of the Roman World and how it transformed Britain and Europe. Admission £3. Book your seat at info@fenarch.org.uk or Text: 07765 172450. NB The mobile number is only used for texts. Any questions or comments? 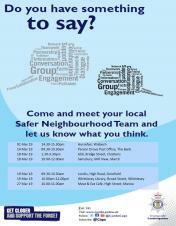 Come and have your say. Singer-songwriter Andrew Robinson will perform a free concert in Wisbech as part of After Hours Live on Friday March 1. The musician and worship leader is described as having a heart to lead people into the presence of God, where they can experience the power of the Holy Spirit and be equipped and released to live wholeheartedly for Christ. Andrew is passionate about writing songs that are grounded in biblical truth and inspire worshippers to pursue a deeper and more intimate relationship with God. At the end of 2016 Andrew received fresh inspiration to write new songs and after a prolific spell of crafting new songs, he released an EP, 'Where The Light Shines', which is an acoustic recording of songs that give a glimpse into his journey of faith over the last few years. Everything is ready and the invitation is for everyone - men, women and children of all ages to join this Day of Prayer. * Women of Slovenia, one of the smallest and youngest countries in Europe, have prepared this year's service and they encourage us to reflect on the barriers they have faced since the end of the Second World War when their country was a part of Yugoslavia, a Marxist socialist republic. They share the challenges they have met and the hopes they have for the future. World Day of Prayer is an international, inter-church organisation which enables us to hear the thoughts of women from all parts of the world: their hopes, concerns and prayers. The preparation for the day is vast. An international committee is based in New York and there are national committees in each participating country. Regional conferences meet to consider the service and then local groups make their plans. Finally, at a church near you on Friday March 1st 2019 people will gather to celebrate the service prepared by the women of Slovenia. The Day of Prayer is celebrated in over 120 countries. It begins in Samoa and prayer in native languages travels throughout the world --- through Asia, Africa, the Middle East, Europe and the Americas before finishing in American Samoa some 38 hours later. 🚴‍♀️ Starting this Saturday @ The Spinney Adventure Playground, Wisbech, 11am-1pm. 🚴‍♂️ Bring along your own bikes and learn how to fix them! 🚴‍♀️ Trained volunteers will be on hand to help. 🚴‍♂️ Extra bikes to work on if you want more practice. and respect for one another. Starting with the inventions of 1857, football became a strong social and emotional basement for the citizens of Sheffield - and is today the world's greatest game. Ashley's Boarding Kennels raises funds to help less fortunate animals at home and abroad. Ashley's family has been involved in animal rescue for over 20 years. Morning Burlesque Chair Dance Classes are coming to Wisbech for all you Yummy Mummies! If it takes off, classes will continue every Wednesday 10am-11am (term time only) just £5 a class , we dance barefoot in leggings/vest tops and bring a bottle of water! There's no need to book - just turn up! We welcome ladies of all ages, shapes, sizes, abilities and we want YOU to come join in the FUN! Get Fit, Lose Weight, Build Confidence & Have FUN! You'll shed the crimbo lbs and make new friends. We can't wait to meet you! The Commissioner offers regularly one to one opportunities for members of the public to come and discuss issues and concerns. The surgeries are held monthly and are rotated around the county in order to allow a location which is suitable for everyone. 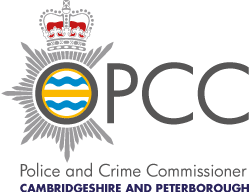 If you would like to book a 15 minute slot, please email: cambs-pcc@pnn.police.uk or telephone 0300 333 3456. You can follow the Rose and Crown on Facebook, Twitter, Pinterest and Instagram. 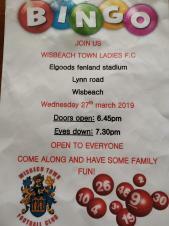 Come and join us for our brand new Bingo Nights in 2019! 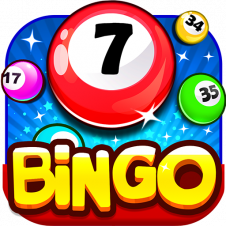 Family Bingo is on every 2nd Monday of the month. Doors open 6:30, eyes down 7:15. Lots of great prizes, a bonus game and a cash game. 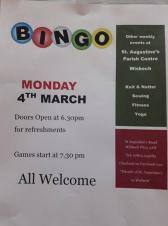 There will also be a raffle and a tombola, and even a free children's game if we have enough kiddies on the night. Wisbech Society presents Welfare, The Poor Laws and The Workhouse in Wisbech, the final event in its winter lecture programme, by Society trustee and retired local GP Dr Eric Somerville. After detailing its historic background, Dr Somerville will outline the provision made for poor people locally, from medieval times up to the introduction of the welfare state. 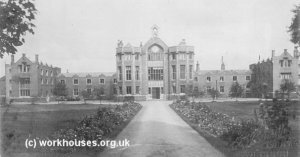 Associated facilities included poor houses, almshouses and two workhouses, as well as relief for paupers in their own homes. In this offering, Wisbech was regarded a 'model town' and noted for its generosity towards the less fortunate. The lecture also serves as an introduction to Wisbech Society's first 2019 summer outing, which visits the Southwell Workhouse in Nottinghamshire, on 8 May. The doors open at the Dwight Centre at 7.15pm for a 7.30pm start. Admission is free for Society members. For non-members there is an admission cost of £3.00, while under-18s are invited to come along for free. 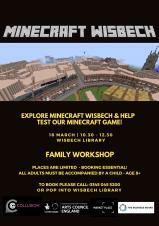 In conjunction with Collusion, explore MINECRAFT WISBECH & help test our minecraft game! FREE event but places are limited - BOOKING ESSENTIAL! Tickets: £2.50 per person Running time: 2 hours Suitable for: Families with children 5+ yrs Join Stand Tall Theatre as they engage young children and their families in the creation of their own stories 33 which they will then bring to life using story telling techniques. We're delighted to invite you to 'Christian Aid On Tour' at St Peter and Paul, Wisbech. We will be offering a lively mix of film, talk and discussion to promote Christian Aid Week 2019. It is based around our work in Sierra Leone which has been made possible by legacy giving plus our climate change campaigning. 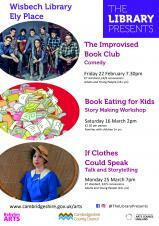 We'll also share ideas about alternative ways to fundraise and success stories by local organisers. 'This is a chance for local supporters to meet and be inspired by what they hear. We have an amazing opportunity to change the world.' Regional Coordinator - Pam Richardson. Alchemical Romance returns to host their second Inspiring Women Craft & Gift Fair at Tower Hall, Friday Bridge. After a successful first year, 2019 promises to be even better! 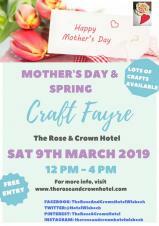 Following on from International Women's Day and just in time for Mother's Day, come and see our wide range of high quality, handcrafted goods and find Mum that special something. Or simply pop in for a naughty-but-nice slice of cake, courtesy of our wonderful WI. 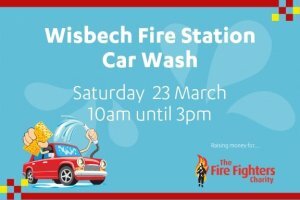 Bring your cars, bikes, vans and scooters 🚗🚲🚐🛵 over to Wisbech Fire Station on Saturday March 23 for our charity car wash 10am - 3pm. 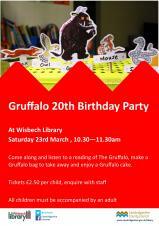 Celebrate the 20th anniversary of this wonderful story with crafts, activities and of course cake! Tickets £2.50 available now from the library. Classworks Theatre use a large selection of heritage clothing to present an interactive experience where they share the stories of the people who owned them and reflect on the times they lived in. Many items come from people who lived in Cambridgeshire. Audiences can handle and try on garments from other countries, cultures and eras. 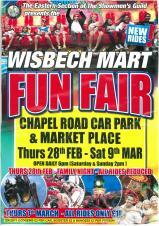 We have a really big range of funders coming and be great to get a good response from groups in Wisbech. CCVS is a registered charity set up to champion and support community and voluntary groups, and promote volunteering across Cambridge City, South Cambridgeshire and Fenland. Saxon Bed Burials. 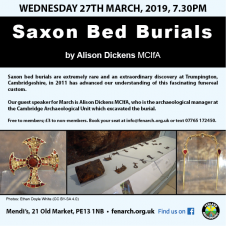 A talk on the Cambridgeshire Saxon Bed burial at Trumpington. The speaker is Alison Dickens MCIfA, Cambridge Archaeological Unit and Access, Cambridge Archaeology. 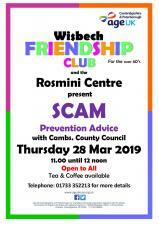 Wisbech over 60's Friendship Club, in partnership with the Rosmini Centre, has invited the Cambridgeshire County Council's SCAM Prevention Team to give a presentation on SCAMs. The team will offer advice and support that will help prevent you becoming the victim of a SCAM. The talk is very informative and open to everyone. Murder Mystery evening which will be held at the hotel on Friday 29th March 2019 from 7pm to 11pm. 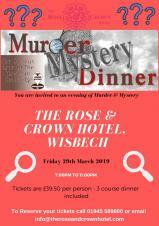 Tickets are £39.50 each with a 2 course meal and of course entertainment provide by Murder Mystery Productions. 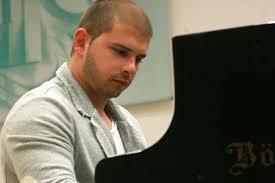 Alex Tsvetkov (formally playing as Alex Florian) will give a piano recital. Alex graduated from the Music Academy in Plovdiv, Bulgaria. 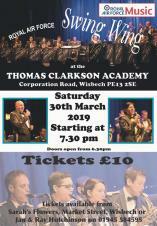 He has given many concerts as soloist and accompanist, including several very successful concerts in Wisbech. In previous concerts Alex has excelled in playing works by Liszt, Chopin, Mozart and Beethoven. His programme for this concert has yet to be finalised but promises to be diverse and may include music by Chinese and Bulgarian composers. Tickets available in advance or on the door. Adults £10, Students (over 18) £7 accompanied children free. 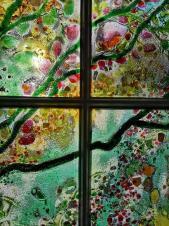 Carrie Anne Funnell, the glass artist who created our magnificent windows, will be giving a talk and demo of her work at the Chapel on Saturday 30th March, 2-4pm. Please do let us know if you will be coming. 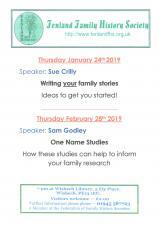 The talk is free, funded by the Lottery Fund. This creative development Skills Sharing session is for artists, makers, craftspeople and creative practitioners. At this facilitated networking day, you'll be sharing and developing ideas, meeting other creative practitioners from the surrounding area, and finding out more about Market Place and how we can support your creative practice! 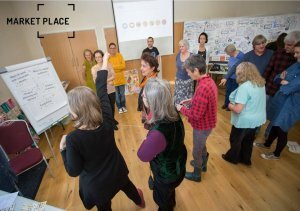 We also want to hear suggestions from you about what skills you'd like to develop to enhance your own creative practice, and the sort of skill sharing events you'd like to see Market Place offer in the future. Market Place Creative Agents Ali and Colin will be there to chat with on the day too. This event is for you if you're an established and practicing artist, new to art and creative practice, a maker, craftsperson, student looking someone delivering creative activities looking to share and develop their own skills. Our networking & skills sharing days are open to anyone wishing to contribute to building the creative offer in the market towns of Forest Heath and Fenland, and/or wishing to develop your own creative practice and audiences. Tickets, which must be pre-booked, are £5 per person and includes all hand-outs and materials from the day, refreshments and lunch. Travel expenses will be reimbursed upon receipt of invoice too. Please share this event with anyone you think might be interested in coming along too! 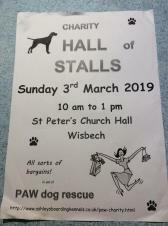 We will be displaying our 'Mapestry' at Wisbech Museum from 30th March until 11th April 2019. 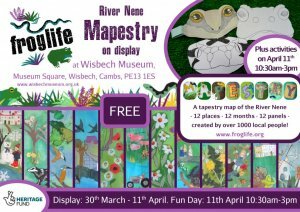 This beautiful 12-panel tapestry depicts the River Nene, its wildlife, culture and heritage throughout the year. It was made by over 1000 local people, with the help of professional textile artist Liliane Taylor, during our River Nene Dragon Finder project. We will also be holding a 'Dragon Fun Day' at the museum on Thursday 11th April where you can take part in free craft and quiz activities from 10:30am – 3:00pm. Come and join in the fun this Easter! Mothers Day flower arranging demonstration and workshop raising funds for Sunshine centre for Therapeutic riding. Qualified florist demo and tuition to make something beautiful for mums or even yourself. Flowers and sundries provided . Choice of cake and tea or coffee included in the booking price of £18.00. 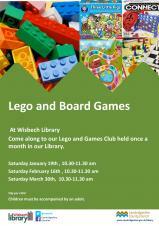 Monthly storytime at Wisbech library. Free event but donations welcome. 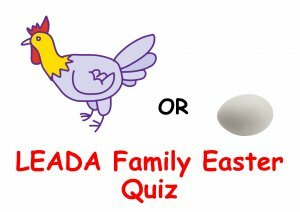 A Family Easter Fun Quiz for all the family. 2 entrance. Maximum 6 in a team. Easy, challenging and silly questions all about Easter. At 1am on Sunday, March 31, the clocks will go forward an hour, to British Summer Time (BST). The period when the clocks are 1 hour ahead is called British Summer Time (BST). There's more daylight in the evenings and less in the mornings (sometimes called Daylight Saving Time). HTML5 validated. WCAG compliant. Page generated in 0.1603 seconds.